The Lincoln pine bunk bed frame is unique as it one of a very few products imported from the far east that is available in 2ft 6" small single size. It is also made from pine and can be split to made in to 2 single beds. 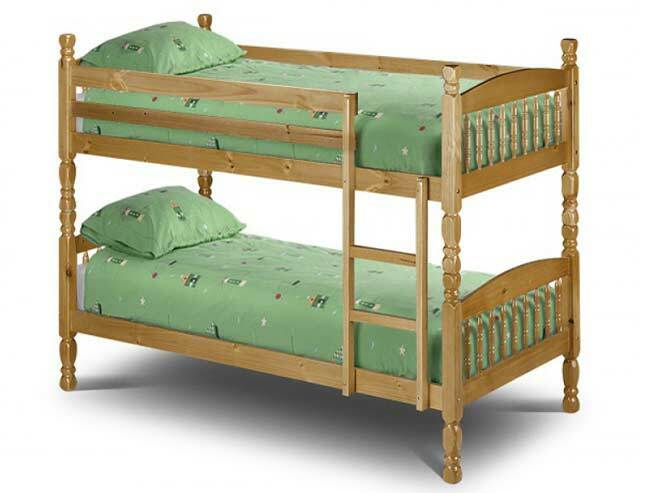 This bunk bed is delivered direct from Julian Bowen to your front door flat packed in approx 7-10 working days.